The KidCo Safeway baby safety gate is specifically designed for top of stairs use, but can also be used in hallways or as a room divider. Provides maximum safety at the top of stairs and in high traffic doorways. Features include stop pin to prevent gate from swinging over open stairs, quick release hardware and a mounting template for safe installation. 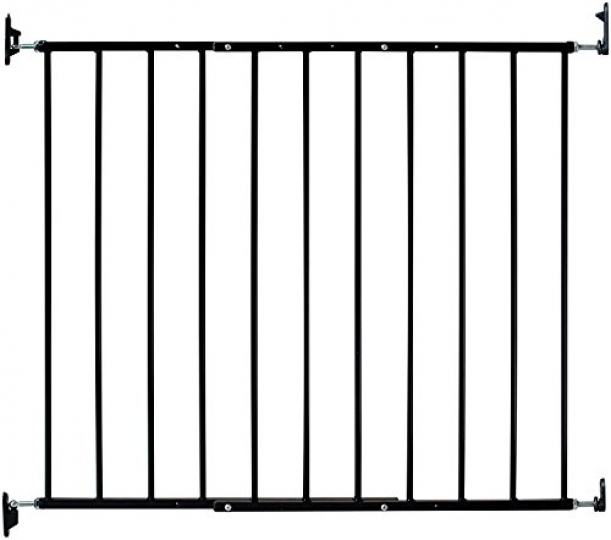 Heavy duty steel construction; Non-toxic powder coat paint; Basic gate width: 24.75? – 43.5? ; Gate Height: 30.5″ (when gate is mounted); Installed Height: 33.5? (height needed to install hardware).